This post has been sponsored by Kemps, though all thoughts and opinions are my own. Thank you for supporting the sponsors who support A Simple Pantry! 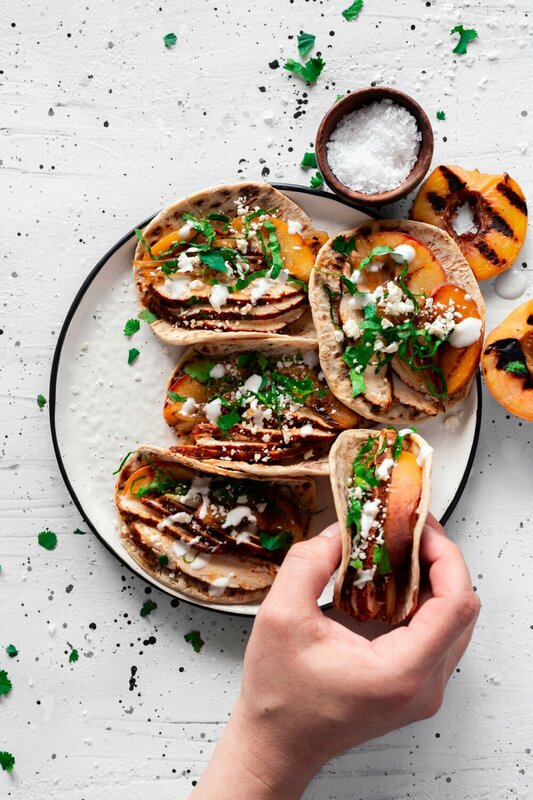 It’s summertime and the living is easy, especially when I’m whipping up easy recipes for a crowd! Of course, right now I am livin la vida go away rain! We had this amazing blast of hot weather right before the end of the school year and since then it has been nothing but rainrainrain. Not that it stops me from having a good time. 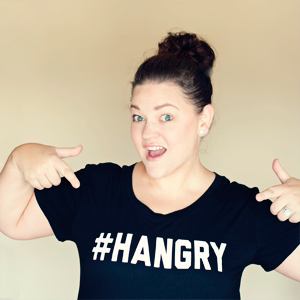 So you know what I do; I run on down to Hy-Vee (my local fave!) and I pick up all the supplies to make the best easy recipes fit for summer. 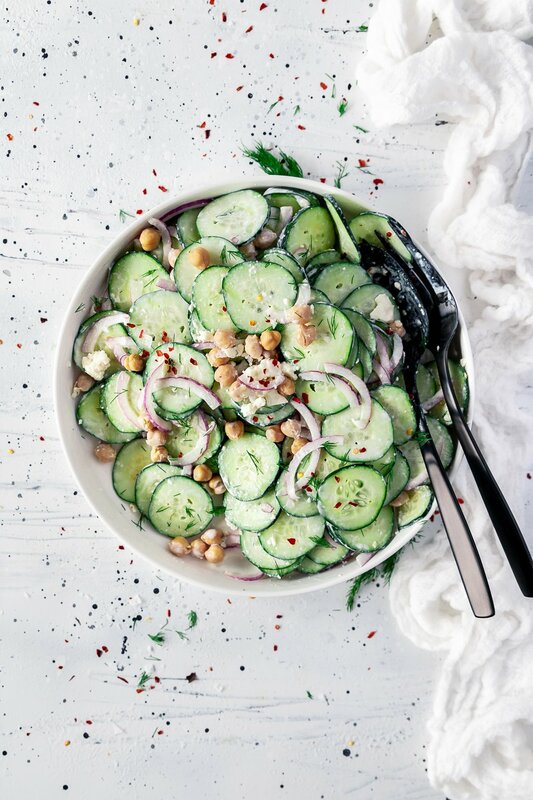 Like this Midwestern Cucumber Salad. 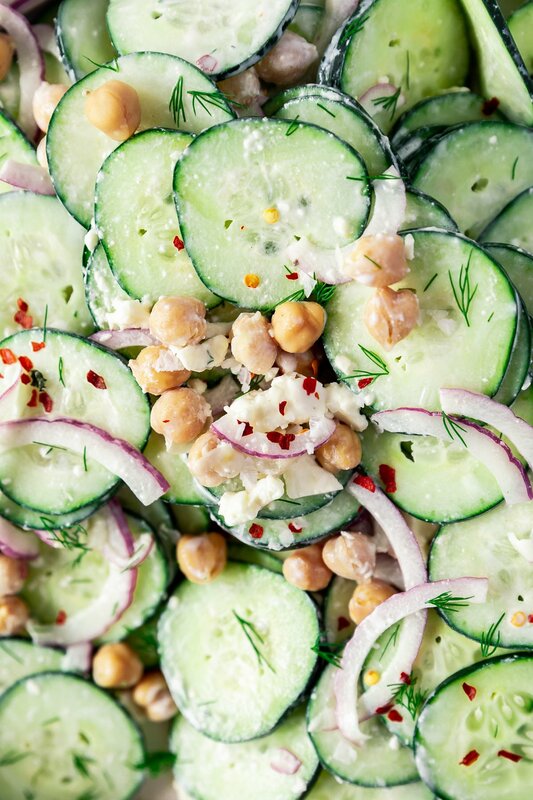 Which, I do admit, is a wee bit more than your traditional cucumber salad. 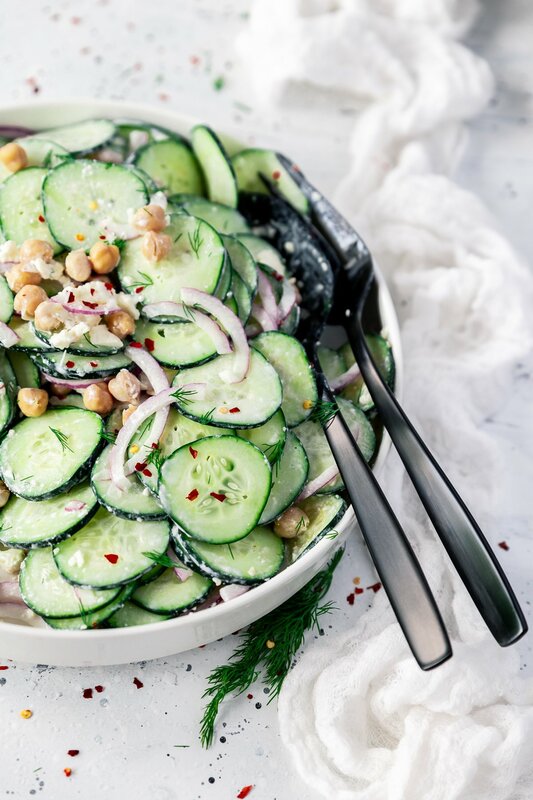 If you’re from around here, you’ve probably had a cucumber salad at one point in your life. Maybe it was a pure vinegar base, and maybe it was creamier, with some good ol’ Kemps® Sour Cream. 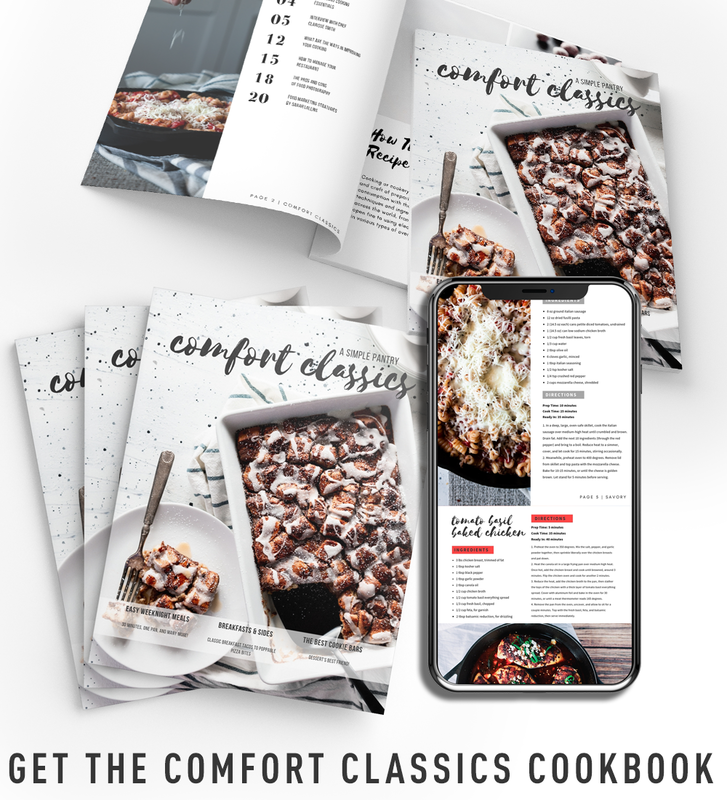 I’ve had it both ways, and while I do love those old school easy recipes, I really felt it was high time to shake things up. You ever feel like that? Since I love both the vinegar and sour cream versions, I thought maybe, just maybe, let’s combine the two, play with some of those traditionally midwestern flavors, and see what happens. Well, I will tell you, awesomeness did happen! 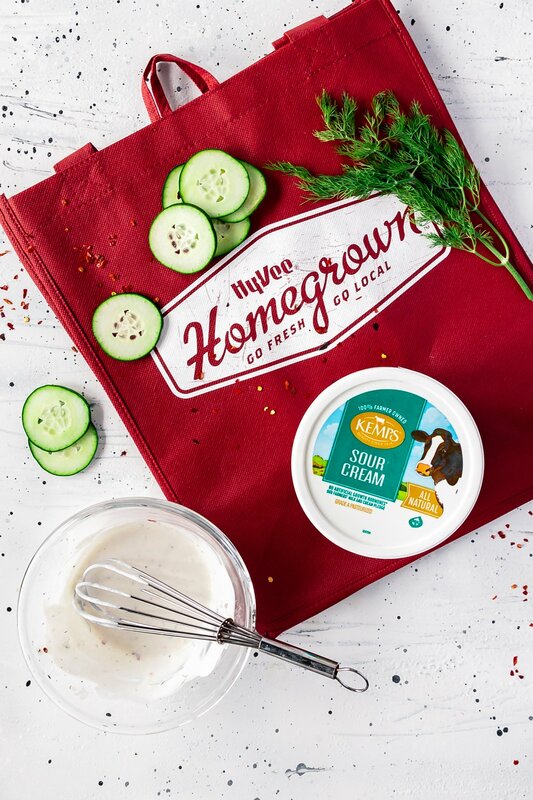 In fact, I had to go back to Hy-Vee and pick up some more Kemps Sour Cream because it was such a crazy popular dish at my last function! 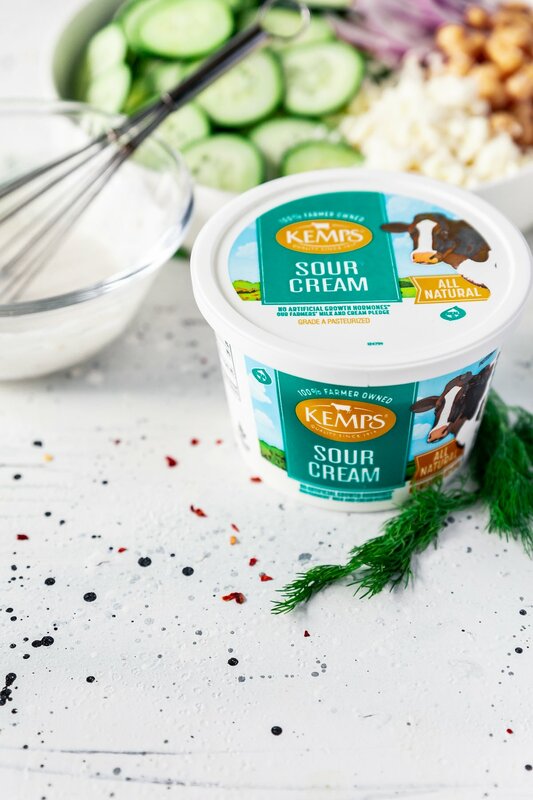 And really, it makes sense when you think about it, because Kemps Sour Cream is fresh, all natural, and is 100% family farmer-owned. How cool is that? You already know how much I adore Kemps, since I use their products in other recipes like my probiotic smoothie. Looooooooooove. 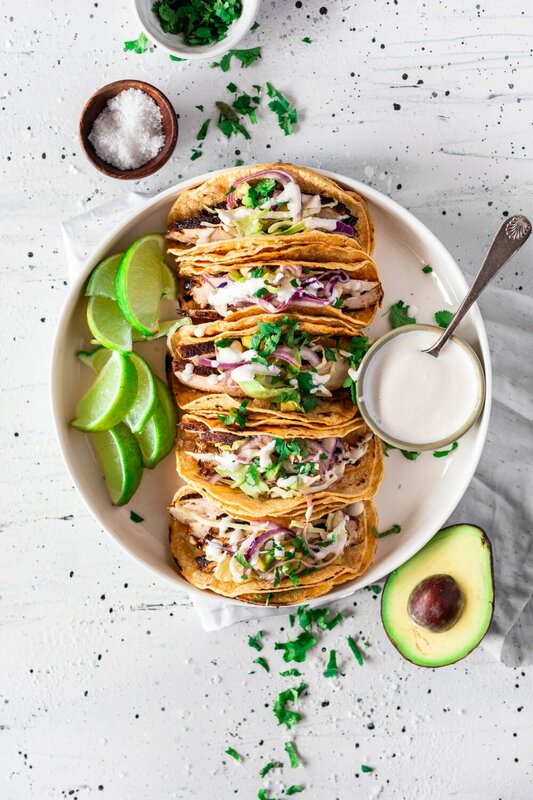 You can find more great Kemps® Sour Cream recipes HERE, and save $1.00 when you buy TWO (2) Kemps Sour Cream products! 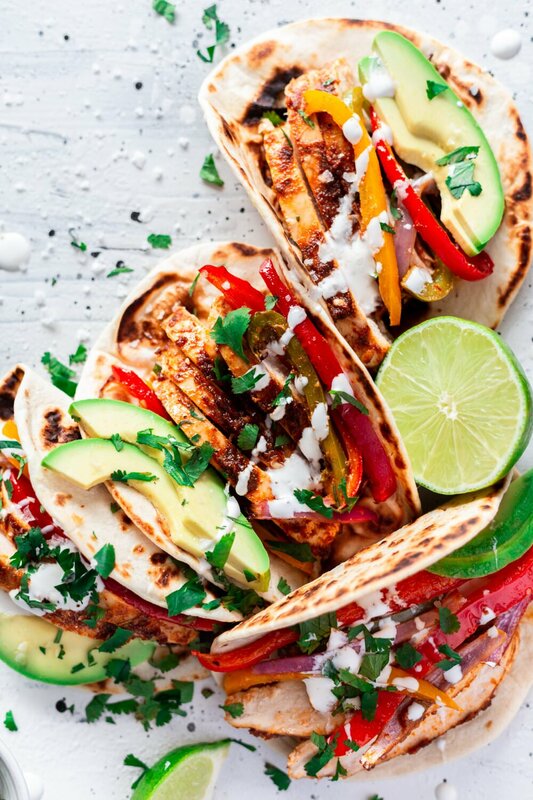 Let’s rock out this summer with some deliciously easy recipes! 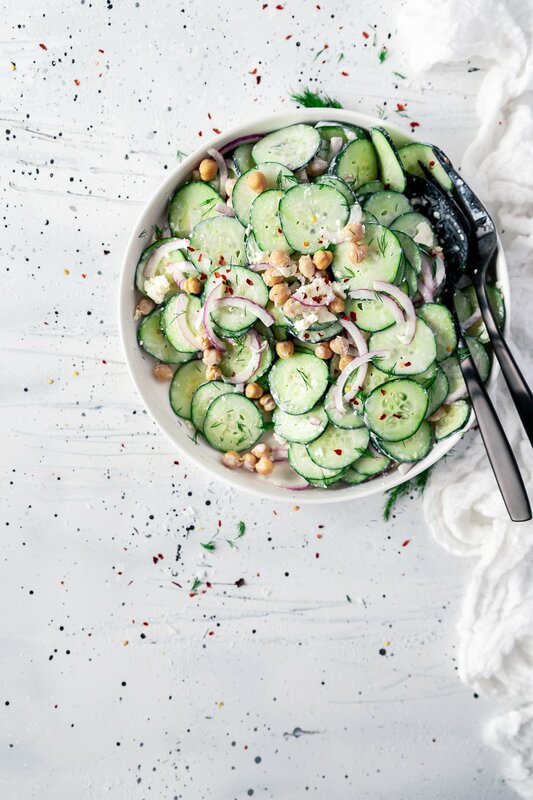 In a small bowl, whisk together the Kemps Sour Cream and white wine vinegar. Add the dill, red pepper flakes, salt and pepper and whisk gently. Taste and adjust seasoning as desired. 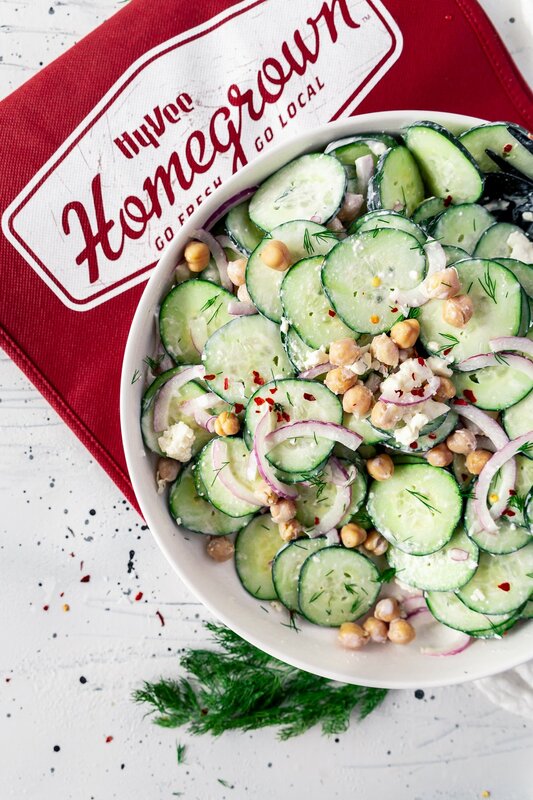 In a large bowl, add the cucumbers, red onion, chickpeas, and feta cheese. 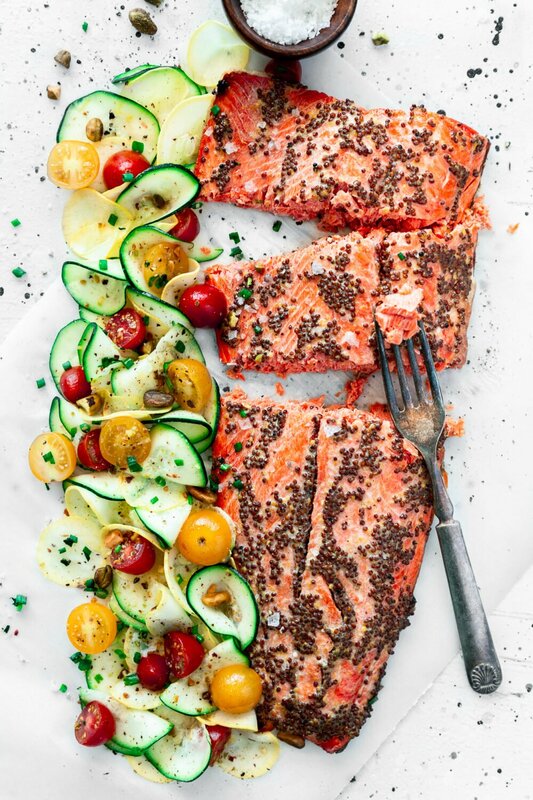 Drizzle with the dressing and toss gently to combine. Serve immediately, or cover and refrigerate for 30 minutes to allow the flavors to intensify. Enjoy! 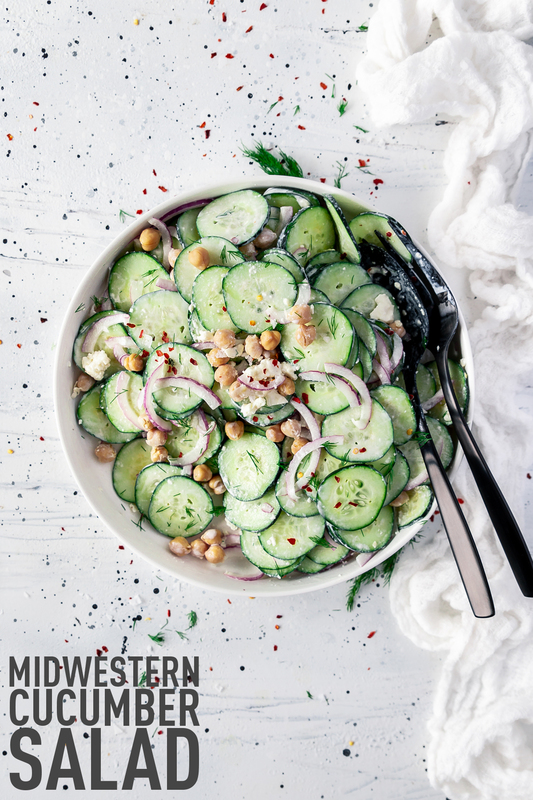 We're taking on the classic Midwestern cucumber salad and giving it a twist, to make an appetizer or side dish worth of listing with your easy recipes for a crowd! 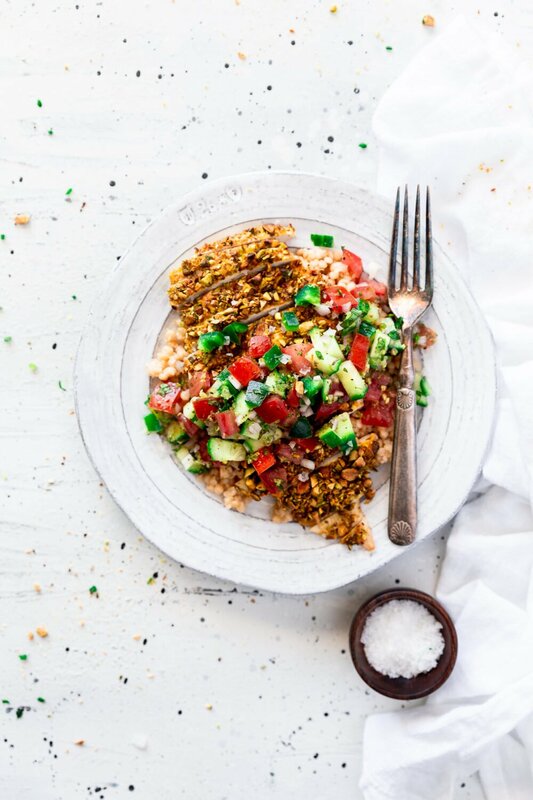 Preps in 10 minutes, a perfect no bake dish for any summer get-together! This sounds amazing! The obly thing that would make it better --and even more Midwestern-- is to top it with crumbled peppered bacon!! That would be an amazing addition for sure! Ahh this must be a midwestern thing! My mom made this all the time when I was growing up, would love some right now! What a great reminder, thank you for sharing! This is so refreshing crisp and creamy! Delicious! 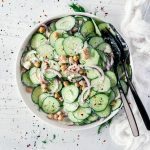 I love love love making cucumber salad in the summer. 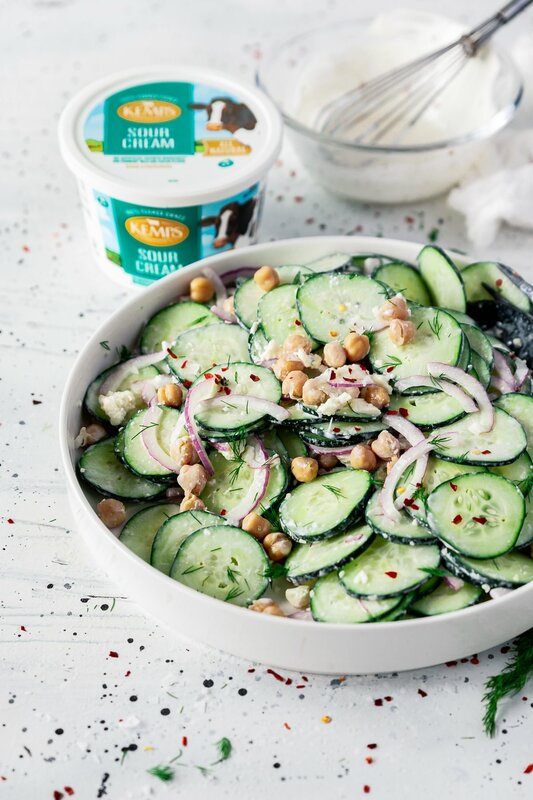 Your version with the chickpeas and red onions sounds really good and would definitely mix things up for us. I would love to try this!